Nestled inside the world-class Lifestyles Resorts, Royal Suites features six low rise modern Mediterranean-style buildings surrounding a beautiful pool. 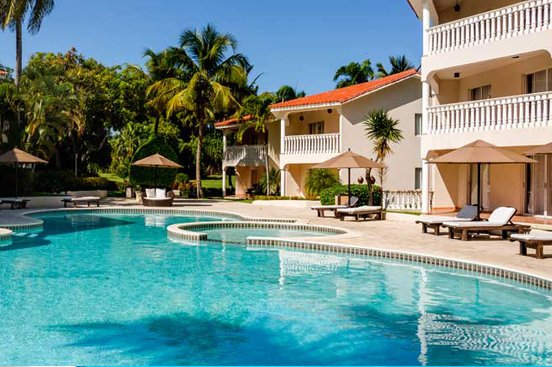 The Royal Suites of Lifestyle Holidays Vacation Resort are located just a half block from the golden sands and the sparkling silvery hues of Cofresi Beach and offers spacious deluxe and standard one and two bedroom suites in a lush and tropical surrounding. Nestled inside the world-class Lifestyles Resorts, Royal Suites features six low rise modern Mediterranean-style buildings surrounding a beautiful pool. The resort provides a first class, five-star vacation experience. In addition to the Royal Suites swimming pool, tennis courts and beautiful beach, our guests will enjoy other resort swimming pools, multiple pool bars and restaurants, a fully equipped gym, a relaxing spa, a kid’s club and multiple beach clubs. Whether you come to eat well, shop, enjoy excursions or you just want to completely relax and enjoy our Caribbean beaches, your stay at the Royal Suites of Lifestyle Holidays Vacation Resort will be the vacation that you have always dreamed of. Fill out the form to the right to check availability for your dates. 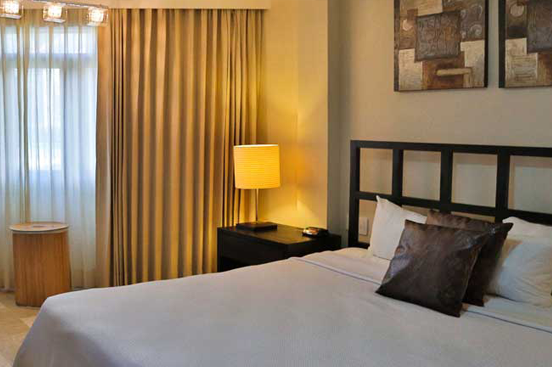 You may select more than one accommodation to receive availability information for. If your dates are flexible, please check the box labeled "Flexible Dates". We typically respond within 24-48 hours. Reservations should be booked at months in advance during the peak season (Dec 15 - April 15). Be sure to plan accordingly so we can help you can enjoy your dreamer vacation. Please check our Reservations page for assistance.